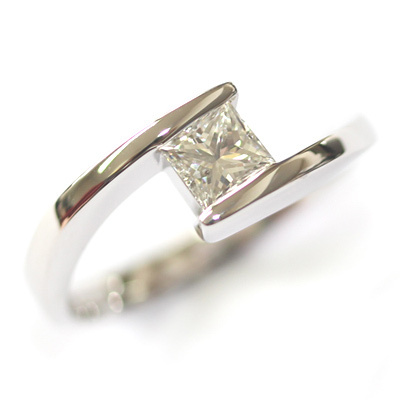 18ct White Gold Crossover Diamond Engagement Ring — Form Bespoke Jewellers Ltd.
An 18ct white gold crossover engagement ring with a solitaire diamond. 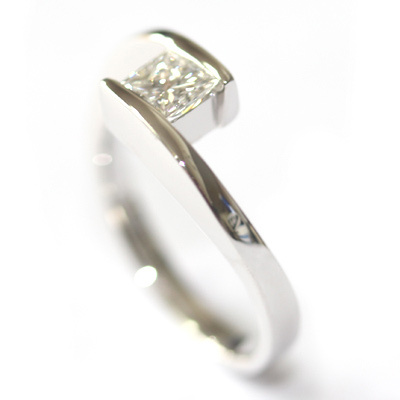 This is a lovely twist on the classic solitaire design, starting with a bold princess cut diamond at the centre. There is an illusion that the diamond is held by the ring’s crossover shoulders. In fact, the diamond is safely hand set in a basket underneath. The crossing bands have a soft, tactile finish and taper as they move into the main band of the ring. 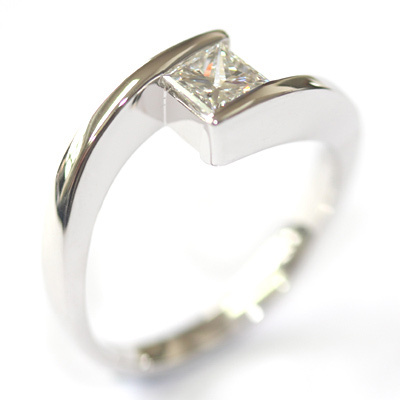 The customer chose for their bespoke engagement ring to be cast in 18ct white gold.